Spend $25 and Get $10 Off at Our Customer Appreciation Sale in Store and Online with Code: ! Ends 12/6! Customer Appreciation Sale! Extra 30% Off $100 or More Online Only or Extra 25% Off in Store and Online with Code: ! Ends 12/6! Shop Carter's Holiday Sleepwear, Destination Dreamland, now 50% off at JCP. Save on select styles. Valid through 12/6! Cyber Monday Sale Starts Now! Extra 33% Off $100 Or More Or Extra 25% Off Online. Shop Over 50,000 Online Deals, Now Through 11/28. Code: ! Posted: Mon Nov 21, 2016 8:35 am Post subject: JCPenney - VIP Event! Extra 25% off with your JCPenney Credit Card or Extra 20% off with any other method of payment in store or online. Online ends 11/22; in store ends 11/23. CODE: ! VIP Event! Extra 25% off with your JCPenney Credit Card or Extra 20% off with any other method of payment in store or online. Online ends 11/22; in store ends 11/23. CODE: ! 20% Off Select Clarks Brand Shoes and Boots for Him and Her with Code ! Valid 11/17-11/20! Take An Extra 20% Off with Your Jcpenney Credit Card or An Extra 15% Off with Any Other Method of Payment. Online Only: On Purchases of $100 or More, Take 30% Off! Use Promo Code ! Save on Original, Regular and Sale-Priced Items.Valid 11/17-11/19! Black Friday Deals Now! Select Womens Boots Now $29.99! Valid 11/15! Black Friday Deals Now! Extra 30% Off $100 or More Online or Extra 20% Off with Your Jcpenney Credit Card in Store and Online, with Code ! Now Through 11/16! 9 Hours Online Only! Take An Extra 30% Off $100 or More, or An Extra 25% Off Under $100, Nov 13, 5pm-2am CST with Code: ! 50% Off Select Special Occasion Shoes and Handbags with Code ! Valid 11/10-11/13! Black Friday Deals Now! Spend $25 and Get $10 Off in Store and Online, with Code , Now Through 11/16! Online only: Election Day Event! Take An Extra 25% Off with Code ! Ends 11/8! 25% Off Select Comfort Shoes and Boots from Brands Including Clarks, Yuu, A2, and Hush Puppies with Code ! Valid 11/3-11/6! Posted: Tue Nov 01, 2016 4:44 am Post subject: JCPenney - Extra 31% Off $100 or More, or Extra 25% Off Under $100, in Store and Online, Plus 30-50% Off Select Home Online Only! Online Code: ! Ends 11/1! Extra 31% Off $100 or More, or Extra 25% Off Under $100, in Store and Online, Plus 30-50% Off Select Home Online Only! Online Code: ! Ends 11/1! Shop Ashley Nell Tipton for Boutique at JCP, the Style Destination for Full-Figured Women, Now Up To 31% Off with Code Through 11/1! Save on Select Items! 60% Off Select Luggage! Style That Travels Well, for Less. Ends 11/15! Posted: Tue Oct 11, 2016 8:38 am Post subject: JCPenney - Shop Ashley Nell Tipton for Boutique at JCP, the style destination for full-figured women, now up to 25% off with code through 10/13. Save on select items. Shop Ashley Nell Tipton for Boutique at JCP, the style destination for full-figured women, now up to 25% off with code through 10/13. Save on select items. Posted: Mon Oct 10, 2016 5:36 pm Post subject: JCPenney - 40-60% Off Fine Jewelry at The Diamond Sale! Add Some Sparkle to Your Look for Less! Ends 10/20! 40-60% Off Fine Jewelry at The Diamond Sale! Add Some Sparkle to Your Look for Less! Ends 10/20! Posted: Sun Oct 09, 2016 9:11 am Post subject: JCPenney - 9 hours online only! Take an extra 30% off $100 or more, or an extra 25% off under $100, 5pm-2am CDT with code. 9 hours online only! Take an extra 30% off $100 or more, or an extra 25% off under $100, 5pm-2am CDT with code. Posted: Tue Oct 04, 2016 5:47 pm Post subject: JCPenney - 2 Days Online Only! Extra 30% Off $100 or More or Extra 25% Off Under $100 with Code: ! Ends 10/5. 2 Days Online Only! Extra 30% Off $100 or More or Extra 25% Off Under $100 with Code: ! Ends 10/5. Posted: Mon Oct 03, 2016 5:42 am Post subject: JCPenney - 25% Off ADPO Skechers with Code . Valid 9/29 - 10/2! 25% Off ADPO Skechers with Code . Valid 9/29 - 10/2! Posted: Sun Oct 02, 2016 5:21 am Post subject: JCPenney - 9 hours online only! Take an extra 30% off over $100 or an extra 25% off under $100 5pm-2am CDT with code. 9 hours online only! Take an extra 30% off over $100 or an extra 25% off under $100 5pm-2am CDT with code. Take An Extra 15% Off Purchases Under $100 and 20% Off Purchases of $100 or More. Use Your Jcpenney Credit Card and Receive 20% Off Purchases Under $100 and 25% Off Purchases of $100 or More! Use Promo Code ! Valid 9/29-10/2! Posted: Fri Sep 30, 2016 6:21 am Post subject: JCPenney - Take 25% Off Skecher Shoes for Women, Men, and Kids. Use Online Code ! Save on Regular and Sale Priced Items. Valid 9/28-10/2! Take 25% Off Skecher Shoes for Women, Men, and Kids. Use Online Code ! Save on Regular and Sale Priced Items. Valid 9/28-10/2! Take an extra 15% off purchases under $100 and 20% off purchases of $100 or more. Use your JCPenney credit card and receive 20% off purchases under $100 and 25% off purchases of $100 or more. Use promo code. Valid 9/29-10/2. Posted: Wed Sep 28, 2016 9:19 am Post subject: JCPenney - Take 25% off Skecher shoes for Women, Men, & Kids. Use online code. Save on regular and sale priced items. Valid 9/28-10/2. Take 25% off Skecher shoes for Women, Men, & Kids. Use online code. Save on regular and sale priced items. Valid 9/28-10/2. Posted: Mon Sep 26, 2016 4:44 am Post subject: JCPenney - Take An Extra 25% Off or An Extra 30-50% Off Home Items! Save on Select Original, Regular and Sale-Priced Items! Online with Code and In-Store! Valid 9/26-9/28! Take An Extra 25% Off or An Extra 30-50% Off Home Items! Save on Select Original, Regular and Sale-Priced Items! Online with Code and In-Store! Valid 9/26-9/28! Posted: Sat Sep 24, 2016 5:12 am Post subject: JCPenney - 30% Off Collection By Michael Strahan Dress Shoes Sale Starting $54.99 $69.99 Select Styles! Valid 9/15 - 9/25! 30% Off Collection By Michael Strahan Dress Shoes Sale Starting $54.99 $69.99 Select Styles! Valid 9/15 - 9/25! 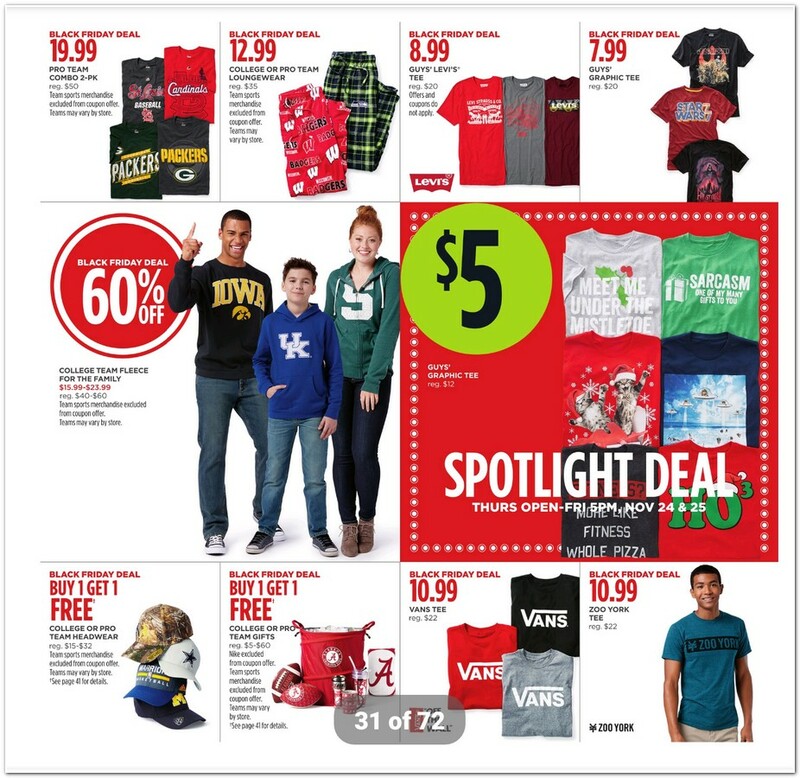 Posted: Fri Sep 23, 2016 4:56 am Post subject: JCPenney - Spend $25 and Get $10 Off in Store and Online with Code: , Now Through 9/25! Spend $25 and Get $10 Off in Store and Online with Code: , Now Through 9/25!